America is a land where a citizen will cross the ocean to fight for democracy – and wont cross the street to vote in a national election. In the game of life, it’s a good idea to have a few early losses, which relieves you of the pressure of trying to maintain an undefeated season. 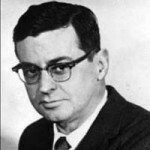 Bill Vaughan was an American columnist and author. Born in Saint Louis, Missouri, he wrote a syndicated column for the Kansas City Star from 1946 until his death in 1977. He was published in Reader's Digest and Better Homes and Gardens under the pseudonym Burton Hillis. He attended Washington University in St. Louis.